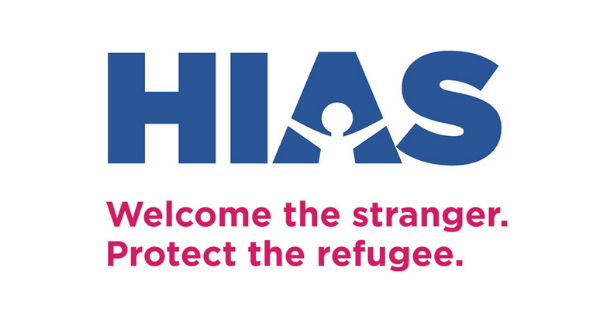 It’s now been almost eight months since TST helped HIAS to welcome our Iraqi friends: Amirah (mom), Muthana (dad) and Mohammed (21-year-old son). We certainly could not have done it without the help of our entire TST community, so we wanted to let you know how our family is doing! Some of you may have heard an update during our recent Refugee Shabbat (watch the live stream recording »), but we wanted to make sure everyone got the news. Amirah is now working in a retail position in Bay Ridge (where the family lives). It’s hard work, she says, but she is happy to be employed. Muthana continues to work on his English via weekly Skype lessons with a wonderful ESL tutor from our partner congregation, East End Temple, and Amirah and Muthana are settling in to life in Bay Ridge. They have found excellent medical care, learned how to use the subways and buses, and seen some of New York City’s best sights (including the Statue of Liberty and Macy’s). Muthana also visited family in Michigan. Mohammed has returned (temporarily) to Jordan to finish his undergraduate degree in law. (As in many other countries, law is an undergraduate course of study in Jordan.) He has one semester left, and since no one knows how many credits would transfer (and university is far less expensive in Jordan), it made more sense for him to finish in Jordan. He would like to be a lawyer, and when he finishes his Jordanian degree, he could pursue a one-year LLM (master’s of law degree) in the US, and then be eligible to take the New York bar exam. Helping our friends settle in to their new life has been immensely complex and rewarding for our TST team, working closely with a volunteer coordinator and case manager from HIAS. Before the family arrived, we were almost entirely focused on housing and furniture. Getting an apartment rented and furnished with two weeks’ notice in New York City is a daunting task, but, with plenty of help, we managed it. The next major area was finding medical care for the family, who, like all of us, needed both general doctors and specialists. HIAS helped the family with government paperwork for green cards and health insurance, and initial government-mandated check-ups and testing were followed by setting up primary care, and we all helped teach the family how to fill out medical paperwork and how to get to their appointments. At this point, Mohammed decided he needed something to do, so he applied for and got a job working the night shift at a local supermarket. After all that (about two months), the family started really learning about their new city and country! Our Community Connections folks made sure they saw the sights, and really learned how to get around New York. We also made sure the family had everything they needed to celebrate their first Ramadan in the US. Amirah is a fantastic cook, and made a wonderful Iftar (when the fast is broken at sundown each day of Ramadan) meal for some of our volunteers. After Ramadan, our Employment team kicked-in to high gear, working with Amirah to figure out what her skills are. She took a paid healthcare-aide training class, offered through HIAS in partnership with a healthcare agency, and she enjoyed the training, but felt the work was not a good fit for her due to ongoing issues with her back. Around this time, Mohammed headed back to Jordan to continue school. Eventually, Amirah decided that she’d really like to do retail work, and with only a little help, applied for and got her current job. Muthana is home most of the time that Amirah is working, and would love visitors – men with whom he can practice his English. Please be in touch with Rabbi Ilana Schachter if you are available in the mornings or on a Saturday to spend some time with Muthana. Now that the family has some income, our team’s focus is shifting to helping the family manage their finances – income, expenses, budgeting, and transferring some utilities and possibly rent over to them. Right now, Amirah is making minimum wage, which doesn’t bring in enough to cover their expenses. TST is committed to supporting the family, both socially and financially, for one year, and we are still well within the budget of the money we raised. But if the family can at least start paying utilities, it will also help them build a credit history, which is important as they decide where to live, and what work to take on, going forward. As the year continues, the family will have more decisions to make, about different jobs, whether Mohammed will work or continue his education, and even whether the family will be able to stay in New York (which, while clearly the greatest city in the world, is also a very expensive place to live). Our hope is that we will have supported them and taught them enough so that, rather than making these decisions based on the fear and insecurity that led them to flee Iraq, and then Jordan, they can make these decisions based on a situation of safety, confidence and self-sufficiency. It has truly taken the efforts of our entire community to do all this work, and please know that Amirah, Muthana and Mohammed are immensely grateful for their new friends at TST. We may have only helped one family with our work so far, but it has changed the entire world for that family. Our horizons have been broadened as well, and many of us now feel connected to far-flung corners of the world in a very personal, concrete way. We are happy to answer any other questions you may have.